Salza & Siscoe explicitly profess the heresy that the "crime" of heresy, but not the SIN of heresy, severs one from the body of the Church suapte natura. Now Salza says, "The nature of the sin of heresy severs one from the Soul of the Church by its very nature"; whereas Pius XII in Mystici Corporis teaches that that the sin of heresy, "by its very nature separates a man from the Body of the Church". Heresy is in its nature a sin, but in its nature, it is not a crime. Since heresy is in its nature a sin, if it is public, this sin, "by its very nature separates a man from the Body of the Church" ("suapte natura hominem ab Ecclesiae Corpore separet"). Does Salza profess this truth of faith? NO, he does not. Salza obstinately denies this revealed truth which must be believed with divine and Catholic faith -- he adamantly refuses to profess it. Salza professes many other truths related to this manifest dogma of the universal and ordinary magisterium; but refuses to profess this manifest dogma itself, namely, that the public sin of pertinacious denial or doubt of any revealed truth that must be believed with divine and Catholic faith by its very nature separates one from the body of the Church. Salza says, "only public and notorious heresy severs one from the Body of the Church"; but he refuses to simply profess the de fide doctrine that the public SIN of heresy by its very nature severs one from the body of the Church. The nature of heresy consists in the act by which one "remains obstinate in a belief contrary to a manifest or defined dogma" (Ballerini). If the act is public, then the perpetrator "declares himself to be a heretic, i.e. to have withdrawn from the Catholic faith and the Church by his own will, so that no declaration or sentence from anyone would be necessary." (Ballerini) This is the Catholic belief. Salza denies this belief with his heretical proposition that "only public and notorious heresy severs one from the Body of the Church. Read our book". By "public and notorious heresy", Salza means something quite different from the simple act of public heresy defined as the pertinacious denial or doubt of any article of faith, and heresy notorious by fact as canonically defined. I read their book. In that book and their other writings they explicitly declare that the public sin of heresy alone does not sever one from the body of the Church; but that the judgment of the crime by the Church is necessary, unless, 1) one explicitly rejects the Church as the rule of faith; 2) the crime is notorious; or, 3) one formally becomes a member of some sect or false religion. In this sense one understands what Salza means when he says, "only public and notorious heresy severs one from the Body of the Church." Salza & Siscoe obstinately deny and adamantly refuse to profess the de fide truth that the sin of public heresy by its very nature severs one from the body of the Church. 1) "Publicly renouncing the Church as the rule of Faith (abandoning the profession of the faith) - by its nature - severs the juridical bonds. It is the nature of the act itself that does so without any extrinsic authority. And this can be the case even if the person is still united to the Soul of the Church, which proves that the nature of the sin of heresy does not sever the juridical, external bonds, like Fr. Kramer argues. It is rather the nature of notorious heresy that does so." This argument is so incredibly moronic that I only say that what it proves is not that the nature of the sin of heresy does not sever the juridical, external bonds; but what it does prove is that John Salza has lost the mental capacity to think rationally; since the only way a person can renounce the Church as the rule of faith and still remain united to the soul of the Church would be if that person were renounce without culpability due to invincible ignorance. In that case there would only be the matter of heresy but not the form of the sin; and with the absence of the form of the sin, the nature of the sin of heresy would be absent from the act. Now with the nature of the sin absent from the act, a mere material defection does not prove that the nature of the sin of heresy does not sever the juridical, external bonds, since the nature of the sin of heresy is not present in the act of such a case when the person renounces the faith without committing the sin of formal heresy. The simple sin of public heresy, no less than the crime of notorious heresy or the fact of publicly renouncing the Church, is in its nature a visible material act of public defection from the Catholic Church, which suapte natura separates a man from the body of the Church (Mystici Corporis), and effects the automatic loss of ecclesiastical office ex natura hæresis (Bellarmine), and ipso jure (Can. 194). Salza says "that the nature of the sin of heresy does not sever the juridical, external bonds"; and Pius XII teaches that heresy "by its very nature separates a man from the Body of the Church" ("suapte natura hominem ab Ecclesiae Corpore separet"). Since the nature of heresy is the nature of the sin of heresy, and the sundering of the judicial, external bonds separates a man from the body of the Church; Salza's proposition is manifestly seen to directly and immediately oppose, deny, and reject the de fide doctrine of the universal magisterium definitively set forth by Pius XII in his authentic magisterium in Mystici Corporis. 2) "I never said the internal sin and the external sin are of a different nature. I said just the opposite!" He flatly contradicts his own doctrine. However, I never accused him of actually saying that explicitly, but I did say that the false premise on which his proposition is based is that the internal act and the extetnal act are each of a different nature. Salza is obviously lying when he says, "I said just the opposite!" The opposite of that proposition would state, "The internal act and the extetnal act are each of the same nature." He did not state the opposite, but he stated: "the nature of the sin of heresy does not sever the juridical, external bonds . . . It is rather the nature of notorious heresy that does so." However, the nature of the two is the same. What Salza obstinately refused to affirm is what the Catholic faith professes, namely, that the sin of heresy by its very nature, whether considered formally under its moral aspect as a sin, under its legal aspect as a crime, or its metaphysical aspect as an act of defection; severs one from the body of the Church when that sin is committed with a public act. 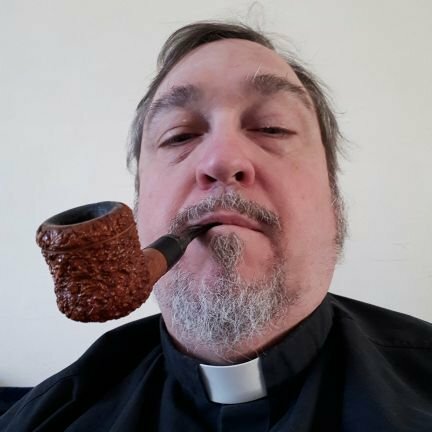 By obstinately refusing to profess this de fide truth of the Catholic faith, John F. Salza and Robert J. Siscoe manifest that they remain obstinate in a belief contrary to a manifest dogma, and declare themselves to be a heretics, i.e. to have withdrawn from the Catholic faith and the Church by their own will, so that no declaration or sentence from any ecclesiastical authority would be necessary for anyone to consider them to be heretics. True or False Pope? is a heretical book. Catholics should not read it. They should burn it. The authors of the book remain incorrigibly obstinate in their heresy. But even if they expunged the heresy from the book; it would still be unfit to be read because of its multitude of lesser errors. Even if they were not heretics, in their book Salza & Siscoe so abundantly manifest their utter incompetence in Theology and Canon Law, that the book constitutes a danger to the faith and conscience of the readers. I will briefly recap: 1) Salza & Siscoe say that sin is internal, as distinguished from crime which is external. It has been pointed out to them that sin is internal and external: internal if committed with an internal act, and external if committed with an external act. However, Salza & Siscoe refuse to be corrected because that error is the pretext they use for the premise they employ to justify their heresy. By saying, "sin is internal", "crime is external"; they characterize the public profession of heresy as an externalized expression of an internal sin. That is a lie: The public profession of heresy is an external sin, because it is a sin committed with an external act. They have been corrected but stil parrot this lie in order to justify their characterization of the external profession of heresy as an "externalized internal sin"; and in this manner they attempt to justify their perverse doctrine that says even the public profession of heresy is only an internal sin (if it is not judged to be a crime or doesn' fulfill the Salza/Siscoe criteria for notorious heresy) which therefore (according to them) pertains to the internal forum, because The Church does not judge internals (!) ("de internis ecclesia non judica [sic]") In this manner Salza & Siscoe foist the lie on Catholic readers, which says the Church does not judge even public heresy unless it is either judged as a crime or is an act of explicit formal defection; and therefore (according to them) only the crime of heresy, but not the sin, separates the heretic from the body of the Church and causes the loss of office only after being judged by the Church. When their errors are pointed out, they accordingly modify them, so that their doctrine becomes an aggregation of equivocations and contradictions. When you refute one variant version of their argument, they will point to another variation of it, and then they will resort to the ploy of accusing you of misrepresenting them! This is why they refuse to plainly state their position: They do not have a clear, logical position (and it is to their tactical advantage not to have one) on the nature of heresy, nor on the loss office (which in their book they erroneously characterize as a "severe vindictive penalty"; but more recently describe on their website as the result of an administrative procedure which they say takes place only after a declaration by Church authority, (but which the canons say takes place ipso jure). The book is riddled with crude errors, many of which are pointed out and refuted in my manuscript. They say a declaratory sentence is not a juridical act. They say a public judgment of the Church is needed for a heretic pope to loss office, but they contradict themselves on this point by stating that not even a declaratory sentence would be necessary. The "indirect judgment" they describe is neither a public judgment, nor is it a judgment of the Church at all, (as I have explained in my manuscript), but is simply the heretic's own pronouncement of abdication and condemnation upon himself. In Part V of my manuscript, I expose the outright fraud and deception that Salza & Siscoe deliberately employ in order to seduce their readers to believe the lie that the false and Masonic "Conciliar Church" is the true Catholic and Apostolic Church. That is the purpose of their book: to promote the Masonic agenda in the Church, described by the high-degree "Nubius", who wrote to his cohorts in his secret lodge (the Alta Vendita) describing their subversion of the Church as a "revolution in cope and mitre"; and exhorted them saying, "let the clergy march under your standard, always believing that they are marching under the banner of the apostolic keys." I think it's important to understand the reason for Salza and Siscoe's ongoing battle with Father Paul Kramer. They haven't gone to this absurd length, twisting the meaning of CRYSTAL CLEAR church doctrine, attacking and insulting a holy priest of God, and obstinately refusing to see the truth for no reason. TO KEEP THE SSPX FROM REALIZING THAT POPE FRANCIS IS AN ANTIPOPE AND THAT POPE BENEDICT XVI IS THE TRUE POPE. For this reason, they are willing to twist the truth in a myriad of ways and make use of any possible interpretation, loophole or flat-out fake news to twist this matter to make it APPEAR that Bergoglio is the Pope. The reason they want this back-and-forth to drag out as long as possible, is that the SSPX ALREADY BELIEVES FRANCIS TO BE THE POPE. JOHN SALZA IS ESSENTIALLY STALLING. He would stall indefinitely if he could, for he has the ear of BP. Fellay, and as long as he is putting up even a semblance of an actual doctrinal debate with FR. Kramer, BP. Fellay is not forced to choose one side or the other. The way to defeat the errors of Salza and Co., is to PRAY. Pray as hard as you can for BP. Fellay and Father Kramer. Put pressure on BP. Fellay (if you're in the society) to dump this Fallacious Fraud(Salza) and accept the truth of the situation in the Vatican. Until this is done, and the SSPX accepts Pope Benedict as the true Pope, Salza will keep this argument going forever. It's up to us. Does heresy even need to be a statement? Or, can it be an act? For example, when John Paul II called all the religions of the world together to pray to their false gods collectively for World Peace at Assisi. This public demonstration against the first commandment was repeated subsequently by jp2 and again by Benedict. This place is false religions on par with the true religion. This seems to me like defection of the faith by a Public Act. Just saying. I believe Fr. Hesse answers your question by saying no, heresy is a belief, and such an act is a sin. But you ask a good question for a number of reasons. St. Pius X and XII condemned both theological and cultural modernism. The faithful have a right to withdraw authority from a prelate who fails to condemn error because they are already acting like a heretic though they may not be one. Archbishop Fulton Sheen said, “If you don’t act according to what you believe, sooner or later you will begin believe according to how you act.” So there is a sense where our beliefs and acts are one in the same thing. Yet something like cultural modernism most of the time just simply leads us into theological modernism, simply because we are acting like modernists. In the N.O. Catholics became heretic by acting like heretics! It often happens that we fall into sin while believing properly, but end up a heretic when we become to proud to admit what we are doing is sinful, and to difficult for us to root out the sin we have become attached to. Rooting out the sin is impossible for us without the help of God’s grace and the Blessed Mothers assistance as our intercessor. Good question. It's kind of a tough call, but holding a meeting like that is only materially heretical. It's close, but the heretic must hold a belief which is condemned by the church, whereupon he places himself outside the church. The trick is, if such an act was done without the knowledge that it was damnably heretical, the Catholic participant in this heretical session would "dodge" the excommunication by not knowing the gravity of his sin.